Yesterday, despite the debate and the refusal of the president to sign the decree for the nomination as Foreign minister, PM Edi Rama delegated this post to the 28 year old from Kosovo through the shortest speech ever delivered in his political career. “I, Edi Rama, Prime Minister of Albania and Minister of Foreign Affairs delegate this post to vice minister of Foreign Affairs, Gent Cakaj”. After this declaration was made, some politicians accused Rama of breaching the Constitution. Meanwhile, this also sparked debates in the public opinion. Albanian Free Press demanded the opinion of constitutional experts and managed to talk to Çlirim Gjata and Arben Braçe. According to constitutionalist Çlirim Gjata, what’s happening now is a violation of the Constitution: “A minister can delegate one or two powers to a vice minister, but he cannot delegate each power that he holds. So, this is anti-constitutional, because the minister does not only deal with the Prime Minister or vice ministers, but he also deals with other institutions. As a result, he cannot allow the vice minister to exert all of his powers”. According to Gjata, there are certain powers which can only be exerted by the minister. According to article 92 of the Constitution regarding the powers of the President in cases when international agreements are signed, the president exerts the following powers: a) addresses messages to Parliament; ë) enters international agreements according to the law, etc. Based on this, the president collaborates with the Foreign minister and not the one who has been delegated these powers. This is a constitutional obligation of the Foreign minister, because it’s a very delicate one”. Gjata says that the minister, who in this case it’s Rama, “may delegate the vice minister a particular issue, but he cannot delegate him all the powers that a minister has. Article 92 is very clear on this”, Mr. Gjata says. 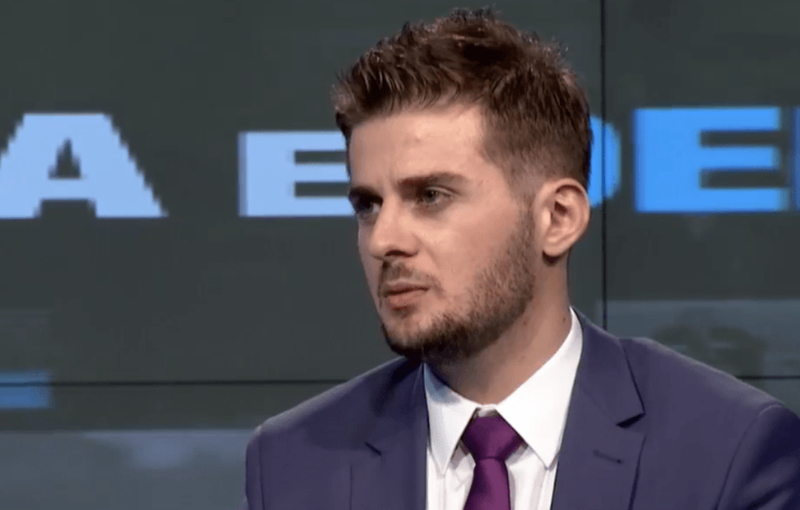 Legal expert, Arben Braçe says that the Prime Minister can only delegate administrative powers. According to him, the transfer of powers that has occurred in this case is anti-constitutional. “No constitutional powers can be delegated and this includes the signing of an international treaty”, Mr. Braçe explains. Firmer minister Elmaz Sherifi, legal expert and law professor says that “The Constitution of Albania and the law have clearly determined the powers of a minister”. “In the absence of the minister, the vice minister may only act upon written authorizations by the minister”, Elmazi explains. “I’m curious to see a written document based on which these powers have been delegated, because the vice minister is still a vice minister”, Mr. Sherifi concludes.